In the news highlights, I saw a Bulls player wearing what appeared to be number 23. 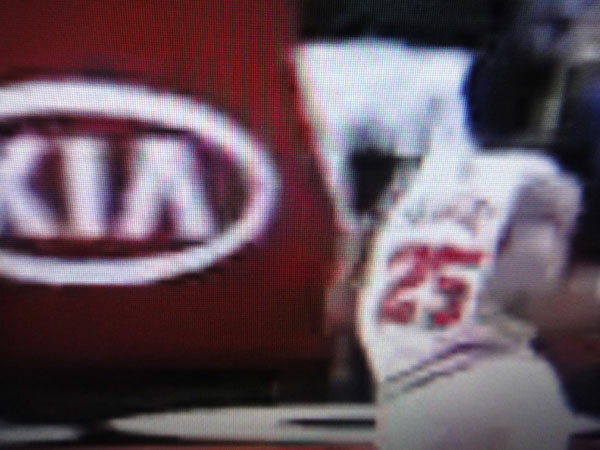 Upon a closer look, his uniform number was revealed to be Marquis Teague wearing 25. Maybe the Bulls should retire all the numbers in the 20s. 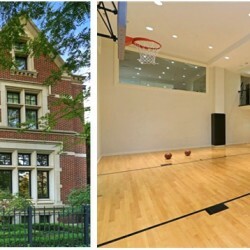 Nerf basketball tournament in Chicago? Of all the sports from baseball (MLB), basketball (NBA), football (NFL) and hockey (NHL) I’ve recorded the team color combination for each team. Each team got two colors: a primary color and a secondary color. What would you say is the most popular color combination in sports?